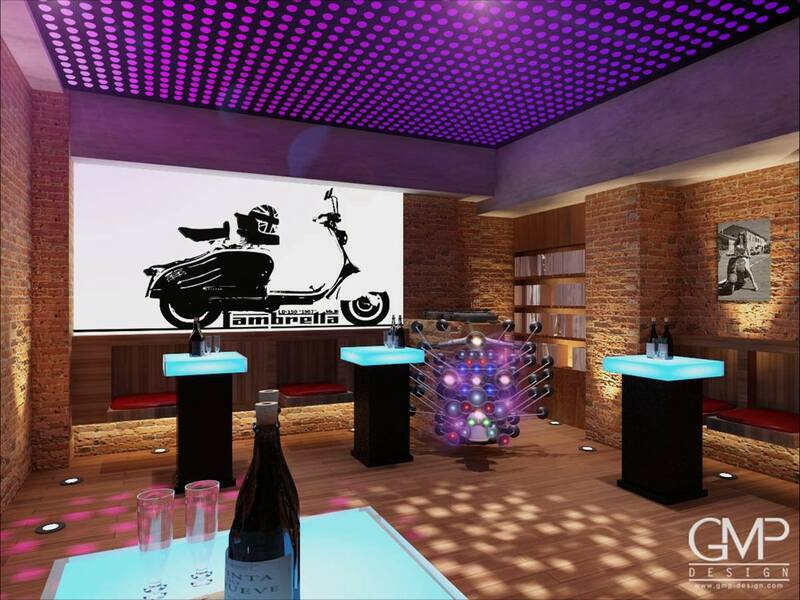 Interesting decor in the Vinyl Bar in London’s Hanway Street. W1T 1UP. 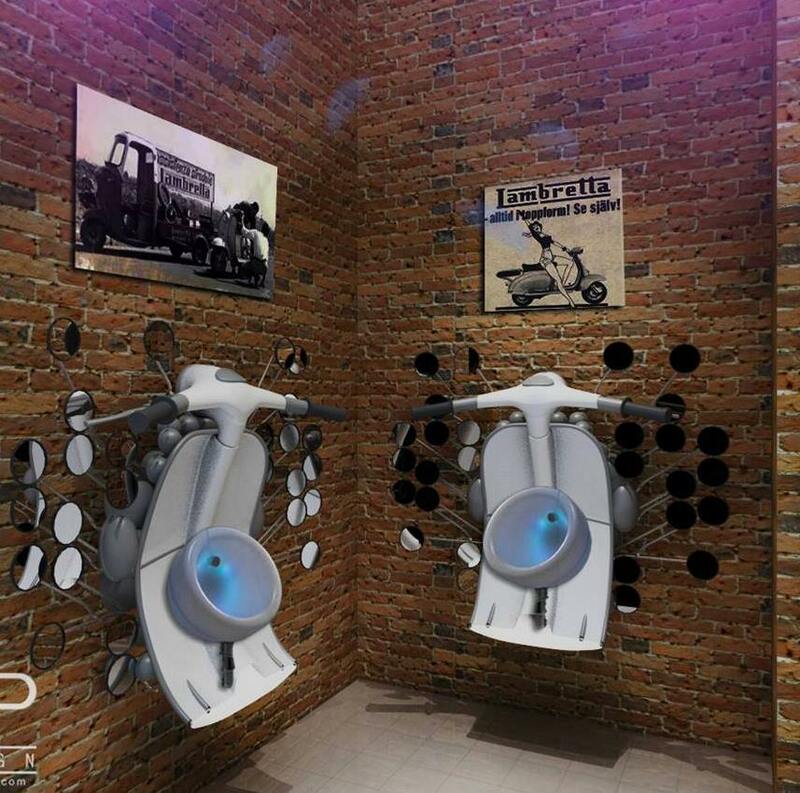 Open Monday to Saturday 5pm till 2:30am The gents toilets are particularly interesting! 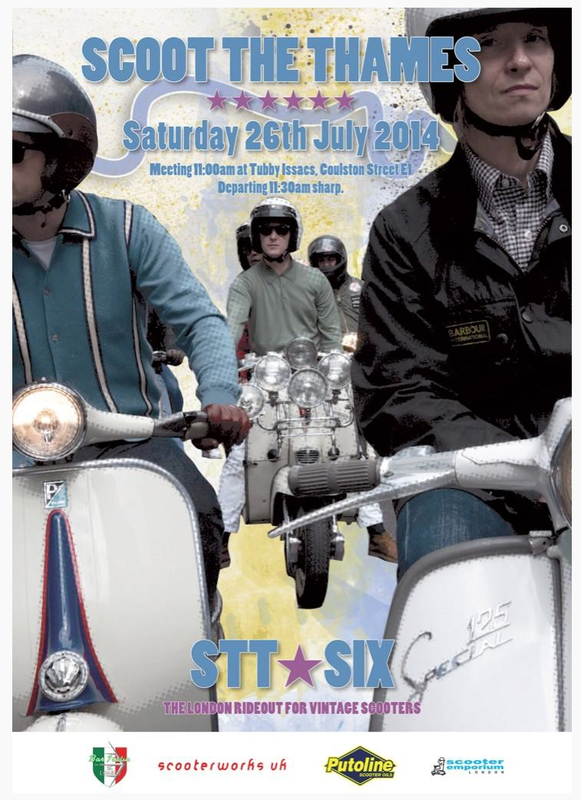 More on their website… where if you sign up for a membership, you could win “A brand new Lambretta scooter” (no further details available at the moment, but I suspect it’s an LN). 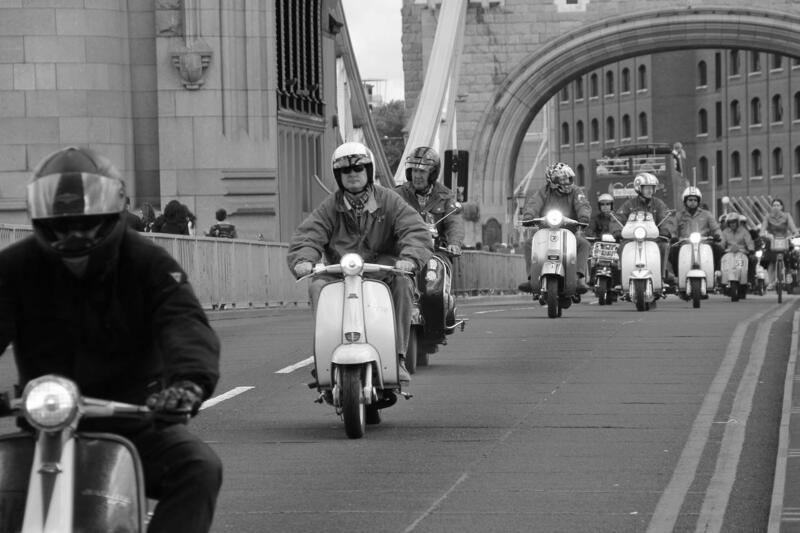 The Lodon Rideout for Vintage Scooters. 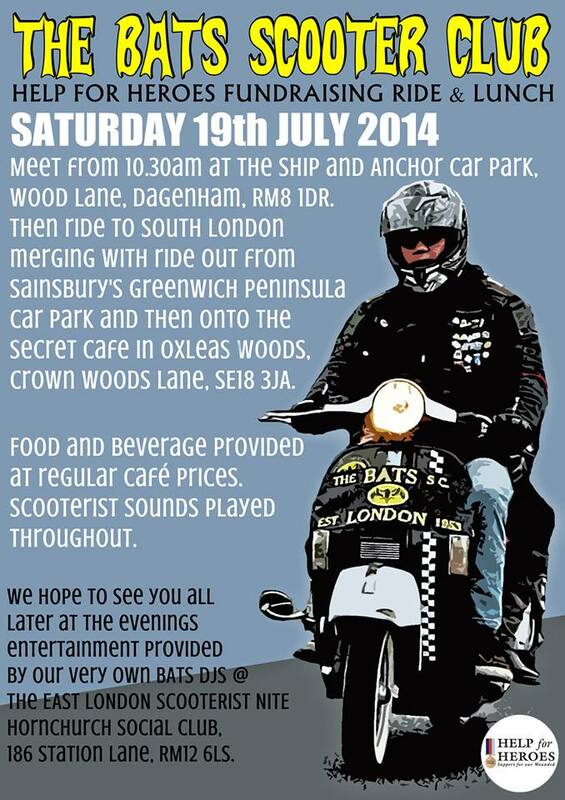 Saturday 26th July… meet at Tubby Isaacs 11am. Check out the Events page for forthcoming rallies, rideouts and events. Keep informed on Facebook, here. 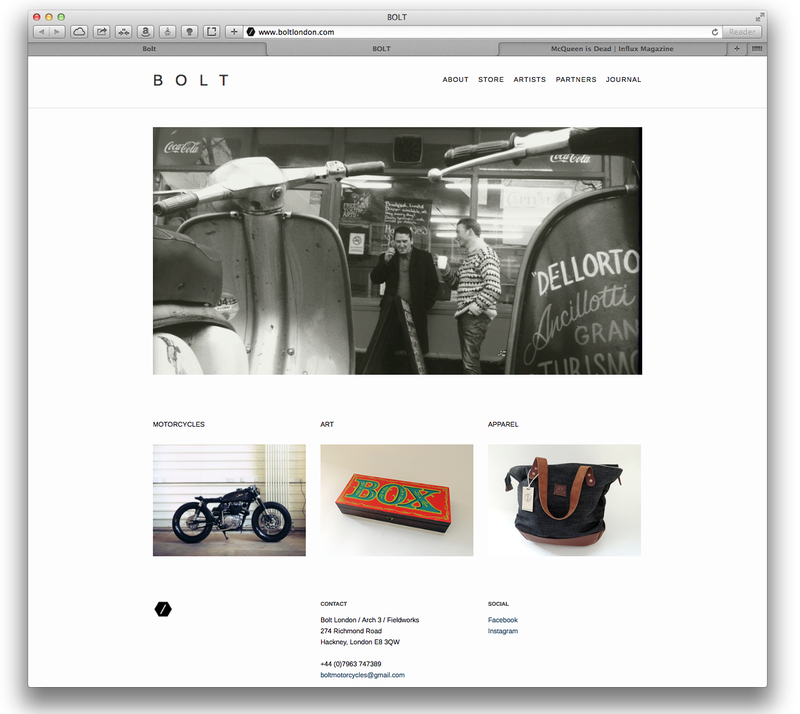 Online mate David Hardy, designer and Lambrettista, has designed the identity for a new kind of shop… Bolt, in Hackney, London. 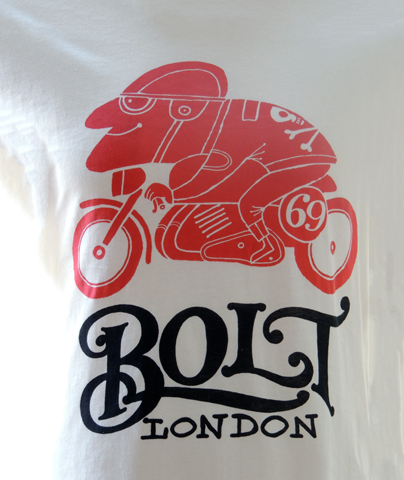 I’ve had to go to Hackney a few times recently, and there’s a real buzz about the place… lots of positive energy, and good stuff happening, and Bolt is one of them. 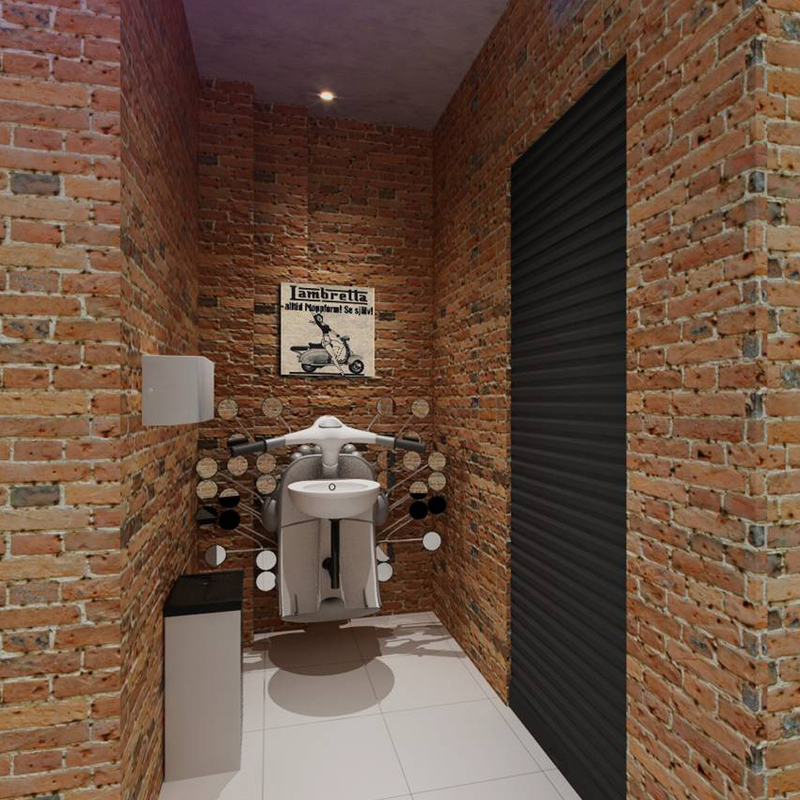 So Bolt… it’s a showroom for one-off, custom built motorcycles, a hang-out / meeting point for ride-outs, a shop for a range of perfectly chosen apparel, and a gallery… all inspired by the motorcycling lifestyle. And when I say motorcycling, it’s a broad church, you are as likely to see a vintage Vespa or Lammie parked up outside as a BSA or a Triumph. I haven’t managed to get down to Bolt yet, but it’s on my list next time I’m over Hackney way. Check out the website, and follow them on Facebook. And a lady on a bike. 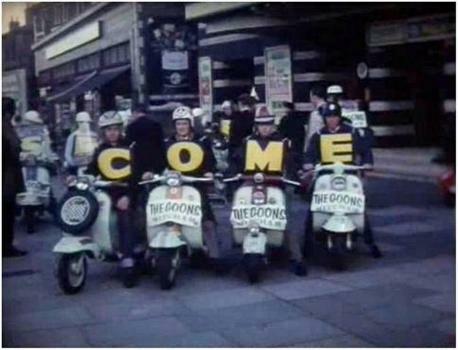 Mystery Early 60’s Lambretta Wedding Movie! 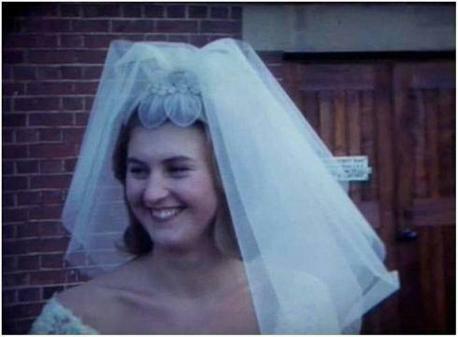 It was found at a car boot sale in Wimbledon by the son of a film historian, Barry Littlechild. I think it dates from the early 60’s… judging by the machines (several Series 2’s) and it’s probably something to do with the movie “Come September“, starring Rock Hudson and Gina Lollobrigida, which came out in 61. So, does anybody know anymore? Who’s the bride? Were you a member of the Mitcham Goons? If you were, or you know more of the story, please let me know – I’d love to follow this up… or let the guys at the Wimbledon Guardian know direct. The full story is here, on the Wimbledon Guardian website. Well done all scooterists, bikers and others who turned out to honour the memory of Drummer Lee Rigby, horrifically and brutally murdered on the streets of our capital city. 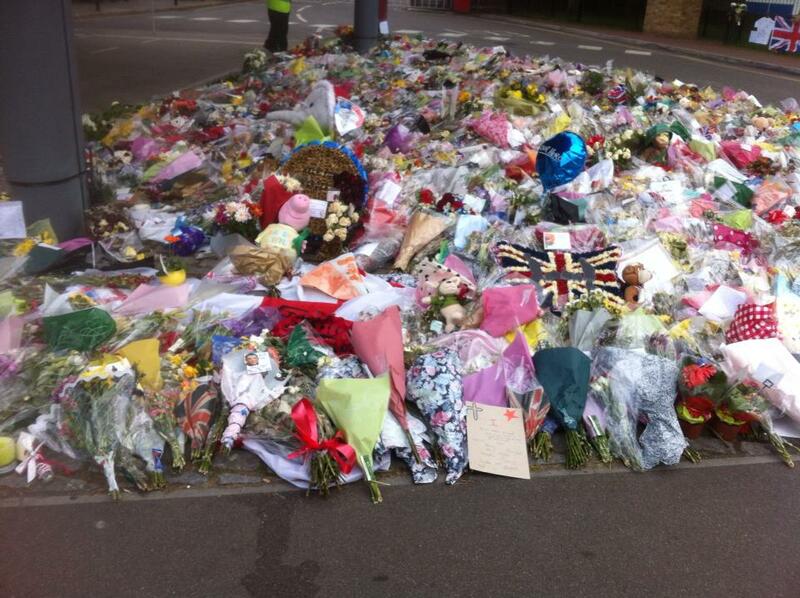 An emotional day for many, marked with due respect. http://www.youtube.com/watch?v=6Dskw2PK1Lk Want to do something positive? 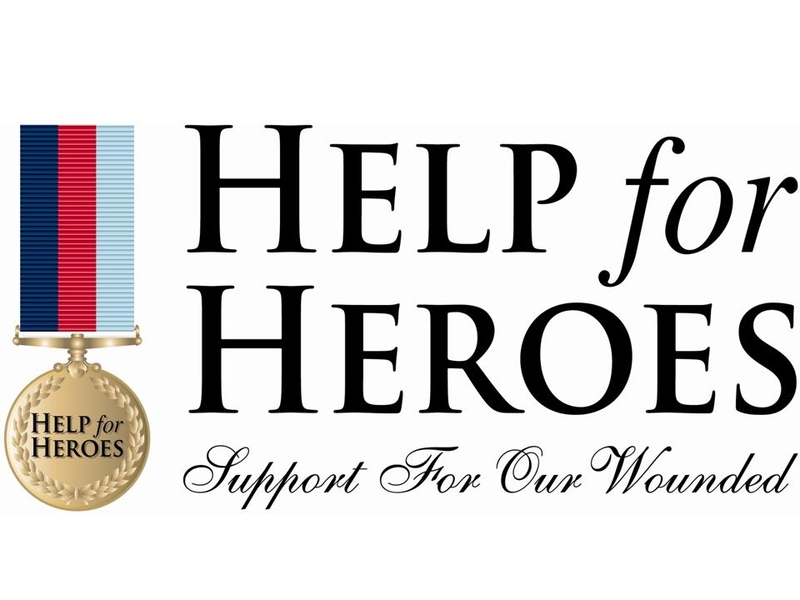 Visit Help for Heroes. 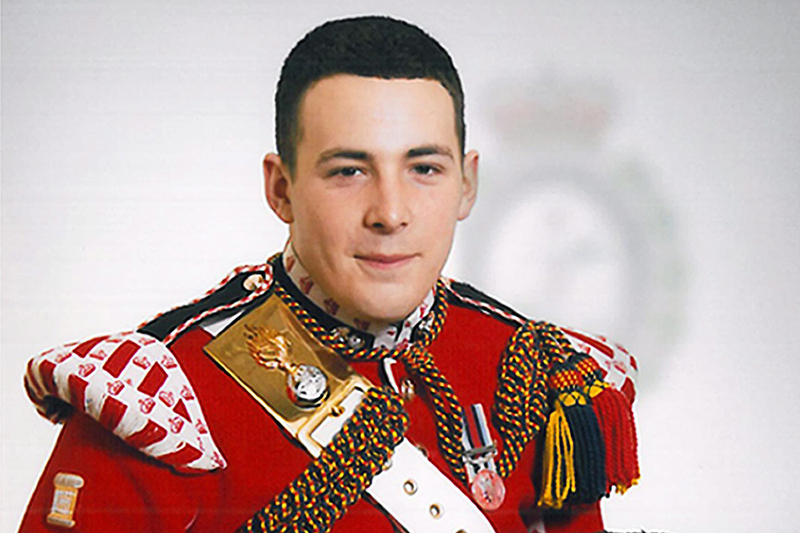 There has been an extraordinary public reaction to the brutal murder of Drummer Lee Rigby last week. Hundreds of thousands of people, revolted by this dreadful crime carried out in full view of other innocents, have united to show that they will not be intimidated. For many, that desire to show support has been focused on doing good to counter the bad. H4H was created in 2007 out of a simple desire to ‘just do something’. We were distressed at seeing so many young men and women with dreadful injuries and wanted to help. Over the last five and a half years that simple desire to ‘do our bit’ has enabled thousands to benefit and has proven that we are not helpless; we can and have done something very good indeed. I’d seen this video a while ago… but it’s worth a post if only for it’s “Mr Chummley-Warner” style narration! 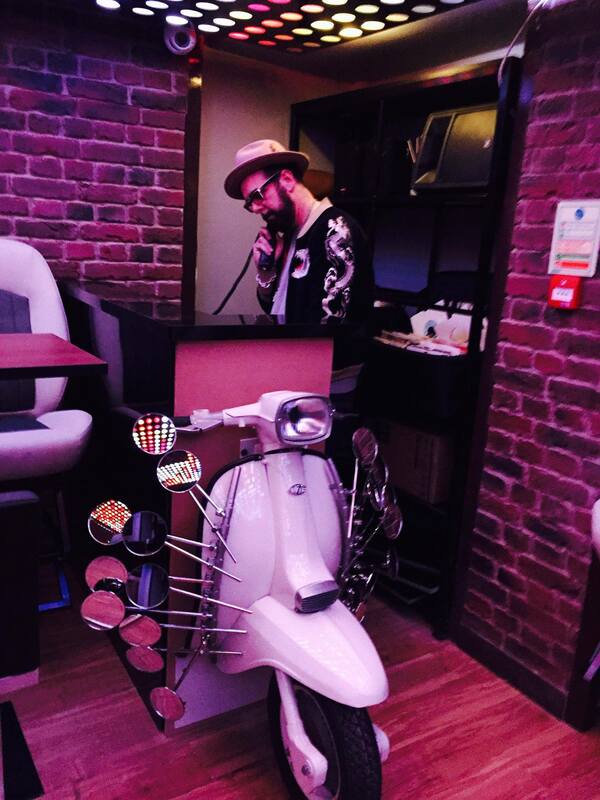 Told you there’d be scooters. Amazing vid from one of the lucky few who rode around the Olympic Stadium on Sunday night.